What is Smoke Detector Interconnect? Most new building codes require all smoke detectors to be interconnected. An interconnected smoke detector is a smoke detector that talks to the other smoke detectors in your home so that in the event of a fire if one smoke detector detects fire all of the smoke detectors will sound the alarm. Why should my Smoke Detectors Be Interconnected? Because in most new home construction interconnected smoke detectors are required by code. It’s also safer to have your smoke detectors interconnected because if a fire starts in your basement and you are sound asleep it will alert you in your bedroom faster than a smoke alarm you may not hear in another part of your house giving you and your family more time to escape. How do I know if my Smoke Detectors are Interconnected? You can check to see if your traditional smoke detectors are interconnected by removing the smoke detector and checking to see if it has 3 wires in the back. If the smoke detector has 3 wires and all three wires are connected in the electrical box your smoke detector is most likely interconnected. You can also check running a smoke test with smoke detector safe (Smoke in a Can) . If your smoke detectors are not hardwired or they are not smart smoke detectors they are most likely not interconnected. There are a few exceptions to this but the majority of the time if there is no wiring behind your smoke detector you don’t have interconnected smoke detector protection. If you have interconnected battery powered smoke detectors they should have “wireless symbol” as shown in the picture. The majority of the new smart smoke detectors out on the market all have smart interconnect functionality built in. Some of the smart smoke detectors even work with other smart home devices like your furnace. Lighting or cameras to keep you safe in the event of a fire. If you are retrofitting your home with new smoke detectors or building a new home smart smoke detectors are a great way to ensure that your new home is interconnected. Even if you don’t have the wiring for interconnect functionality, smart smoke detectors will connect wirelessly to each other for interconnect functionality. 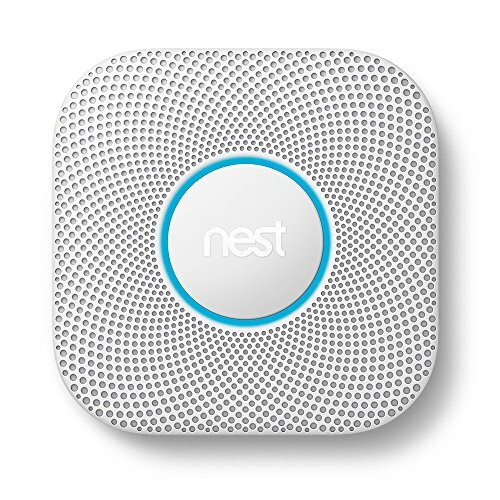 Both the Nest Protect smoke detectors and the One Link Smart smoke detectors provide interconnectivity between smoke detectors and include all of the smart features that these smoke detectors are known for. 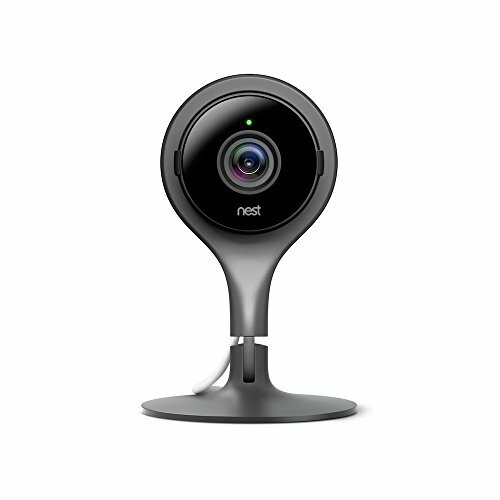 The nest protect integrates well with existing nest devices and within the nest ecosystem. 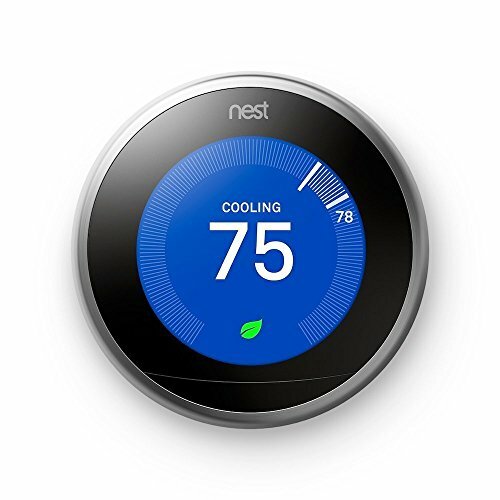 If you already have a nest smart thermostat a nest protect is a great addition to your smart home. The nest protect has built in motion sensors that work with your nest thermostat to provide more accurate home and away settings when you are in your home to help save you energy when you leave your house. The nest protect has both a battery powered and a hardwired version. How does nest protect interconnect work? When you set up your smart smoke detectors on your wifi network and program them in the nest app, the interconnect between the nest protect smart smoke detectors is automatically set up. The interconnect feature between the smart smoke detectors is built into the detectors and will function even if your wifi or internet is not working. Another great feature of the nest protect is that it will announce what room the fire or smoke was detected in with a voice when the alarms are sounded. This can help you orient yourself in the confusing situation of a middle of the night smoke detector. It can also help buy you time to get out of the house or help your family members because you know where the fire is located. When you set up the nest protect smoke detectors, you give each one a name and a location where it is placed to help you in the event of an emergency. 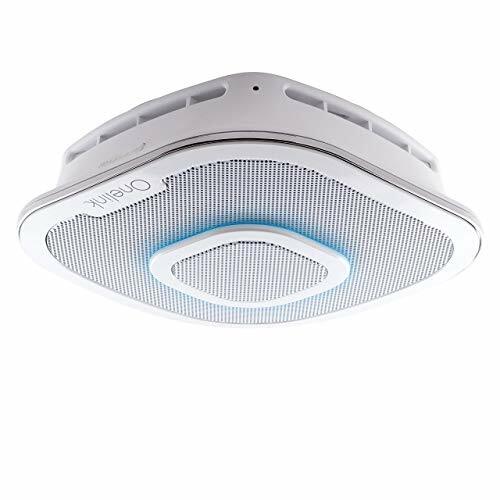 The One Link Smart Smoke Detector is the new smart smoke detector the market and will interconnect with most existing hardwired interconnected smoke detectors and with other One Link Smart Smoke Detectors. The One Link Smart Smoke Detector is hardwired and requires a constant power, but it has two great features that are the nest protect does not currently incorporate. The One Link Smoke Detector has a built in high end speaker and Amazon Alexa built right into the smoke alarm. This means that you can use your smoke alarm as a built in streaming sound system and you can use it to control your house with voice using Amazon Alexa. With the One Link Smoke Detector you don’t need a seperate Amazon Alexa device like the echo dot or echo show you can just use your smoke detector and it has all of the same smart features as any other Amazon Alexa device. If you are building a new house and don’t want to have Amazon Echo devices plugged into every room but you want voice control and streaming music in every room, the One Link Smoke Detector is a great value because you would pay much more for 3 seperate devices than if you have them all combined in one. It is ingenious thinking to combine Alexa, Smart Smoke Detector and Speaker all in one clean package but it can be a little pricey with costs typically over $200 for each One Link Smart Smoke Detector Device. The nest protect works with several other smart devices to help keep you safe and can be used to make some of your other smart home devices even smarter. While not officially a technical term we call the the Nest Protect’s connection to other smart home devices “Super Connect” because it is amazing and really what makes it stand apart from some of the other smart home smoke detectors on the market. The nest protect works with the nest thermostat in the event of a fire or carbon monoxide detection to turn off your furnace to prevent the spread of fire. This feature has come in handy as I mentioned above to prevent spreading smoke throughout the house if you end up burning something in the oven. What really impresses me is that it will turn off the HVAC system if it detects carbon monoxide to prevent spreading the deadly, odorless gas throughout your home. Since Faulty furnaces are one of the leading causes of carbon monoxide poisoning, it’s also nice to know that if your furnace is the issue at fault the nest protect and nest thermostat can turn off the furnace instead of continuing to pump deadly carbon monoxide into your home. When the nest protect detects fire, smoke or carbon monoxide if you have a nest camera it will automatically begin streaming a live stream of your nest camera to your phone so you can see if there is a fire. When smoke is detected by the nest protect if you connect your Philips hue bulbs to your nest account your phillips hue bulbs can automatically turn on to alert you of a fire but also to provide you with the lighting you need to escape your home. 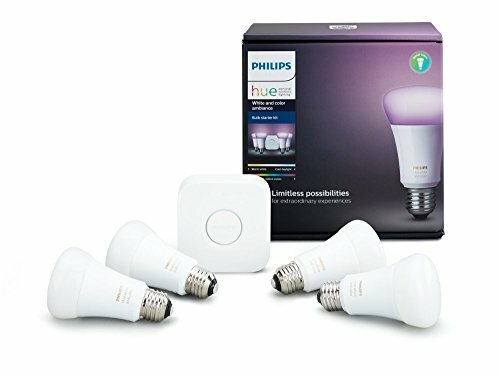 You can connect your philips hue bulbs and nest products by logging into your philips hue account here and following the on screen instructions. What if you don’t need a smart smoke detector and just want an interconnected smoke detector? In 2018 even though smart smoke detectors can be a little pricey they provide an incredible value for the features they provide because they alert you when they aren’t working or something is wrong like low batteries. Almost 50% of smoke alarms that should be working are disconnected or not working and people do nothing about it, because how often do you really think about your smoke detectors? So while smart smoke detectors are a little bit more expensive than a standard smoke detector we believe that it’s a worthwhile investment for your safety and the safety of your family. If you don’t want a smart smoke detector but still want an interconnected smoke detector we have a recommended option for both hardwired homes and homes with no wiring. First Alert Wired Interconnected Smoke/C0 Alarm. How long do the nest protect smoke detectors last? How to change the nest protect smoke detector batteries? 5 smart home upgrades to increase the value of your home.